The NCBTMB Standards of Practice are designed to ensure that Nationally Certified massage practitioners uphold high standards of practice for the massage profession as well as inform the general public of the duties and responsibilities of Nationally Certified massage therapists. This course was designed as a quick review of the basics related to the NCBTMB's Standard V: Roles and Boundaries. I have been licensed since 1998 and have taught massage. 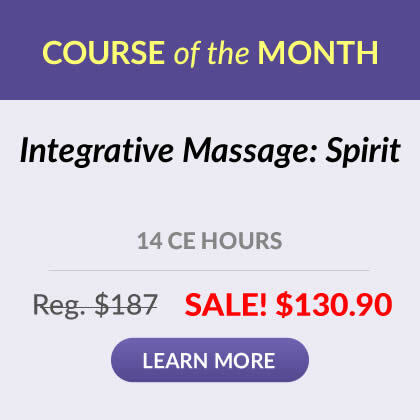 Even though I have been a professional massage therapist and teacher for more than a decade, this course is beneficial as a refresher and reminder. It supports and clarified my reasons for doing some of the things I do (especially regarding boundaries and dual relationships). This course was easy to access and user friendly to navigate online. 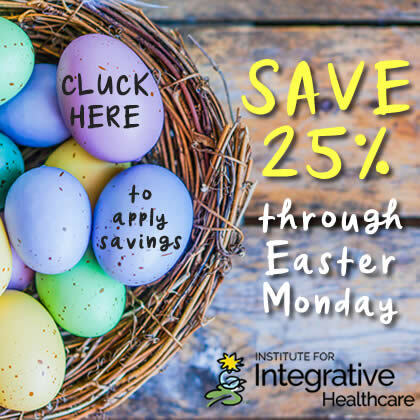 I have recommended this continuing education course website to other therapists in both massage therapy and physical therapy fields. Reflective exercises were an added bonus to the course material! Great for encouraging self-reflection and critical thinking! What a good quick course for an extra CEU... it was concise and pertinent for an ethical review, providing a very good thought-provoking challenge. I enjoyed this home study course program, the contents of the material was excellent. It was a pleasure to take my test online and be able to see my score right away and get my certificate. Very thorough information and content. Refocuses on little things we forget sometimes. It touches on all the key points of ethics. I'm very impressed with this course!! The contents of this course is clear and excellent as a refresher. Like most of the courses I had the opportunity to sign up for it is informative and instructive. I feel this course was a good refresher and re-opened my eyes to make more ethical and professional decisions! Great information, easy to read, and understand. I like that simplicity of the course material. Easy to comprehend. Hard subject to make interesting. Again I am happy to say that this ETHICS course was interesting, which is hard to pull off when one is discussing ETHICS. Thank you! 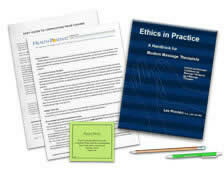 I appreciate you offering a 1 hr ethics course and how easy it was to access and complete. Course was easy enough! I’m not looking for complicated. Thanks for being direct. loved the course materials. I'd definately pass this on to other therapists. Thanks for the Ethics class. It was easy to find and complete for my certification. I have found the courses at this Institute very well done. I come back every time I need to re-certify. Good material - comprehensive - excellent information - clearly presented. I loved this course! It was brief, concise,and to the point. Rather inexpensive and I was able to fulfill my state requirements for CEUs. Love this site!! This course is very straight forward and gave me a good refresher. Great insight! Great information! Great research! Thank you for putting this material together and for making it so easily accessible online!! Straight to the point..I liked it. This review of the Ethics of Roles and Boundaries was straight to the point and gave a thorough overview of the NCBTMB Standard V.
Love this course, very refreshing on what i already knew but I feel it will help to kind of reset my boundaries! This was a good refresher in ethics! Thanks! I have been a therapist since 1988. This course is a great review. I am looking forward to taking other courses with you. Nice, quick ethics refresher. Exactly what you would expect. Excellent material and very efficient, too! I appreciate the ease in taking this test. The information is very important. A refresher course like this was exactly what I needed. Thank you. I'm glad I found this refresher course. Valuable information for everybody. Wonderfully written. Wouldn't change anything. The course was a great ethics refresher, clearly presented, informative and concise. I feel you did an excellent job in presenting these ethical issues and understanding of the vocabulary, this review was good to do again. Excellent class! I appreciate the clear content and the ease of the experience! Thank you. I found this course to be a straight forward presentation of ethics as related to the practice of massage and bodywork. It was fast and easy. A nice way to remember our ethics and standards. The course gave good insight and clear definitions. This is a great refresher. I am very pleased with the ease and the convenience. The course is concise yet thought provoking and raises pertinent issues. This course was quick and concise. I think it was a great refresher! Great refresher! I like how easy it is taking a course online when I don't have the time to attend a class. To the point and very informative . It's very convenient and thanks for the free 1 hr course! I enjoy taking these exams in the privacy of my home at my own time. You covered all subjects very well! This was a very easy and fast way to accumulate CEU's . I enjoyed this course. The information was very good. Excellent course. Truly a learning expereience. Definitely a great refresher! I use your website very often - love it!! This courses outlines were very thorough. Very informative and needed for massage therapists today. This one hour course was great to make up for the 1 hour I was missing through other courses. The course was clearly presented. This was an interesting course packed with great information. I really enjoyed the course and the customer service that was provided. Comprehensive review and course time corresponded well to credits given. - Mary E. Bird, LMT. I love that you can take the test and print out needed certificates on-line...especially for last minute types like me! The materials are thorough and well organized. Excellent course - easy to read and review! I enjoy taking courses like these, works out with my schedule better and I like to read and learn this way. The course reviewed issues we need to stay very aware of! This was a very helpful course in refreshing my memory on ethical practices. Well written and great as a refresher. Reminds the therapist about the simple yet needed information. Course was outlined professionally and it easy to follow. Good refresher course. Very well-written and concise overview.